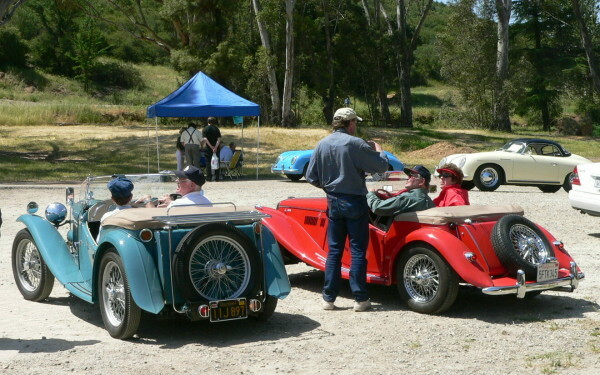 Paramount Ranch 2005 -- MG Cars! In the post World War II era these small British cars began appearing in numbers and popularized the idea of the lightweight, good-handling, responsive "sports car" in the USA. What fun to drive these beauties on the winding roads of the Santa Monica mountains on a bright Spring day! I'm not an MG expert but the blue car looks like a TC (or maybe earlier) to me and the red car looks like a TF.